I’ve been covering sports and shooting video for 30 years. I began my career for the local Comcast public access station in Santa Ana, CA as the sports anchor/reporter for the Santa Ana Sports & Activities Scene covering athletics for Santa Ana Junior College and the then five Santa Ana High Schools as well as all little league sports in the city. That landed me a job with the Orange County News Channel as a sports producer. I was there for five years covering all Orange County Sports from the pee-wees to the pros including the Los Angeles Angels and the Anaheim Ducks. I worked my way up to sports director anchoring and reporting. I left for KCBS in Los Angeles where I was a sports producer for longtime sports anchor Jim Hill. I was one of many lead producers who put together his daily sportscasts as well as segments for his award winning Sports Central highlight shows. I continued my on-air career in Colorado and Idaho working for all of the major affiliates and winning several sportscasting awards during my eight-year journey through the mountain time zone. After a serious illness forcing me to put my career on hold, I returned home for treatment of Ulcerative Colitis. 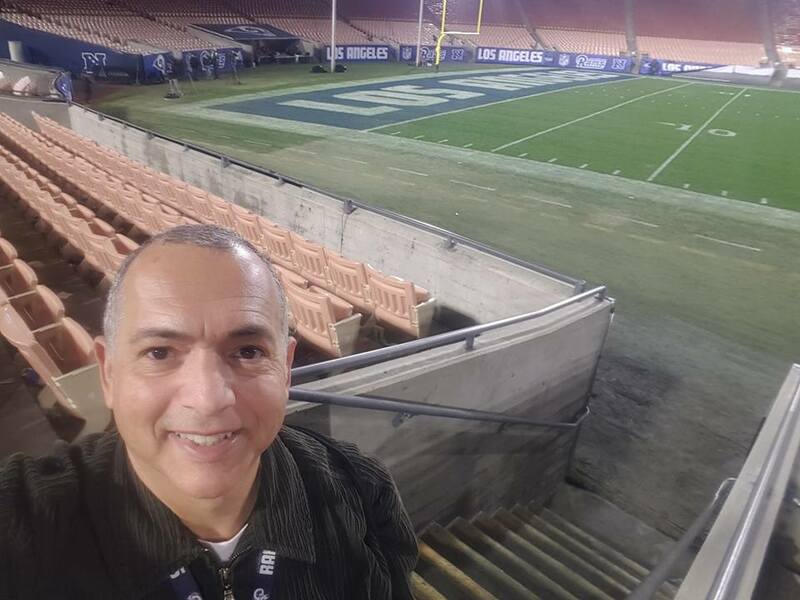 After being cured of its debilitating effects I resumed my career doing freelance work covering Los Angeles Sports including the Lakers, Clippers, Dodgers, Angels, Kings, Ducks, UCLA and USC and, now, the Los Angeles Rams. My current reporting work involves radio reporting and digital web video reporting for various sites. I made a niche for myself as the video web reporter for The Beast 980 all sports radio station covering all L.A. sports. In every job I’ve ever had where my anchoring and reporting were involved, I’ve shot my own video and continue to do so now. Hall of Fame R.B. Dickerson retires as a L.A. Ram, then named V.P. of Business Ops.